This is a guest post by Kay of The Chaotic Scot. Edinburgh is a total catch. There’s eye candy everywhere, from the cobbled streets and narrow closes, to the fairy-tale architecture and glorious green spaces. Edinburgh is one seriously pretty city, with an undeniable charm to match. There’s much more than on offer than simply aesthetics, however. Edinburgh’s rich and interesting history captivates the most curious of cats, while the thriving pub culture and dining scene ensure that every taste is catered for. There are endless opportunities for fun, fresh air and frolicking. Sounds like the perfect setting for some romance, don’t you think? Here are 10 romantic things to do in Edinburgh to get you in the mood for love. Whether you’re a modern-day Romeo & Juliet, or a less than lovey-dovey duo, Edinburgh will soon have cartoon love hearts swirling ’round your heads. 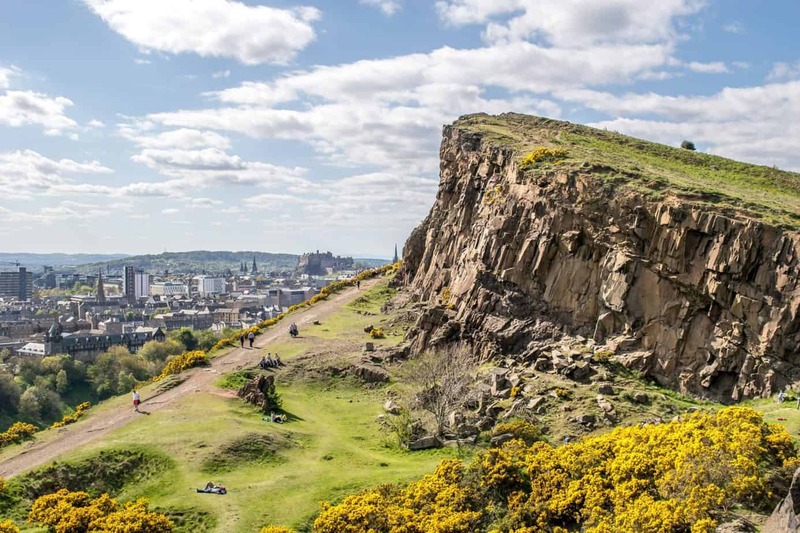 Just like Rome, Edinburgh sits on a stage of seven hills, and these volcanic remnants are the optimum viewing platforms to admire the city’s beauty from above. The most accessible of the hills from the city centre are Arthur’s Seat and Calton Hill, both serving up bonnie vistas of the stunning skyline and surrounding hills, including Edinburgh Castle on Castle Rock. For an extra sprinkling of romance, stick around to watch the sunset; October to March is the ideal time to see the sky alight with vibrant colours. I’m not sure about you, but the way to my heart is through my stomach. Feed me, and I’ll love you forever! Thankfully, Edinburgh is abundant in ‘date night’ dining options, stretching as far as Michelin star, for those extra special occasions. The Stockbridge Restaurant sits below the cobbles of St Stephen’s Street, with fairy-lights leading down the steps to a relaxed, candlelit setting. Seasonal Scottish fayre makes up the delicious creations, and the cheese board is legendary. 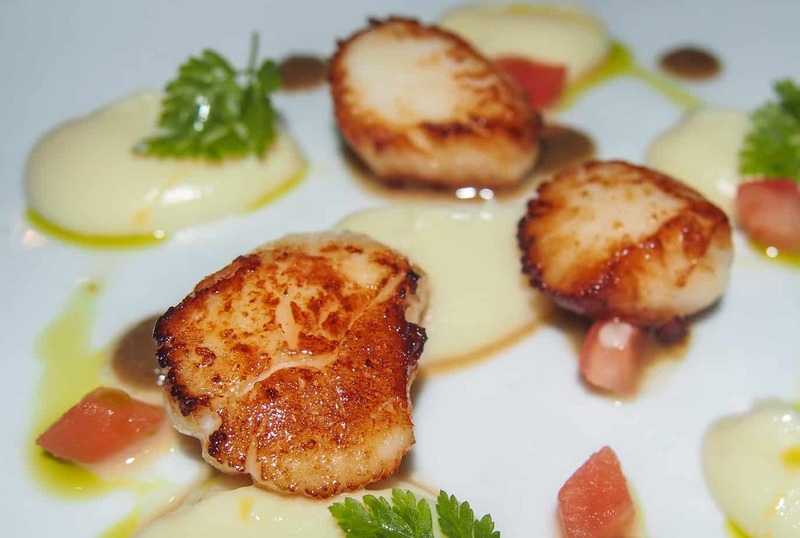 For proper foodies who love the element of surprise, Aizle Restaurant is an unrivaled choice. Local, seasonal ingredients are listed on the restaurant’s blackboard, yet how they will be served remains a mystery until each of the five courses arrives in front of you. You will not be disappointed. Don’t forget about the delicious drink options in Edinburgh. You can even take a tour to help you find the best spots (and taste the best beverages!). Consider options such as this History of Whisky and Whisky Tasting Tour or Whisky and Folklore: Whisky & Storytelling. At times, you just need to take a step back from the world of IMAX screens and 4D cinematic experiences, in favour of some ‘old school cool’. 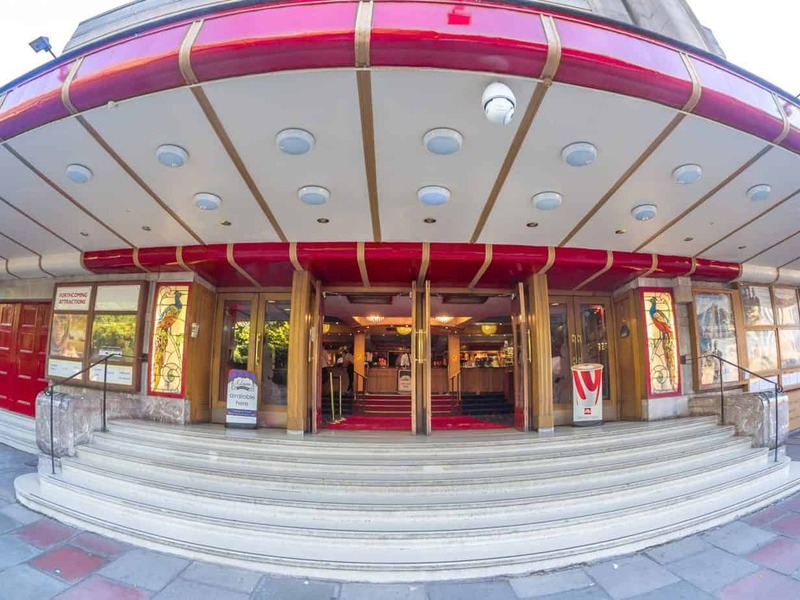 Nothing says romance quite like an old fashioned cinema, and Edinburgh has three to choose from; the Filmhouse, the Dominion and Scotland’s oldest cinema, The Cameo. Quentin Tarantino cited that The Cameo was one of his favourite cinemas when Pulp Fiction was screened there in 1994, however my top recommendation is ‘First Class’ at The Dominion. Choose from electric recliners or sink-into sofas, order bar service right to your table, and enjoy complimentary Pringles and sweets. First Class at The Dominion is £23 for a sofa for two, or £11.50pp for an electric recliner. Classic cinema: great romantic Edinburgh date idea! 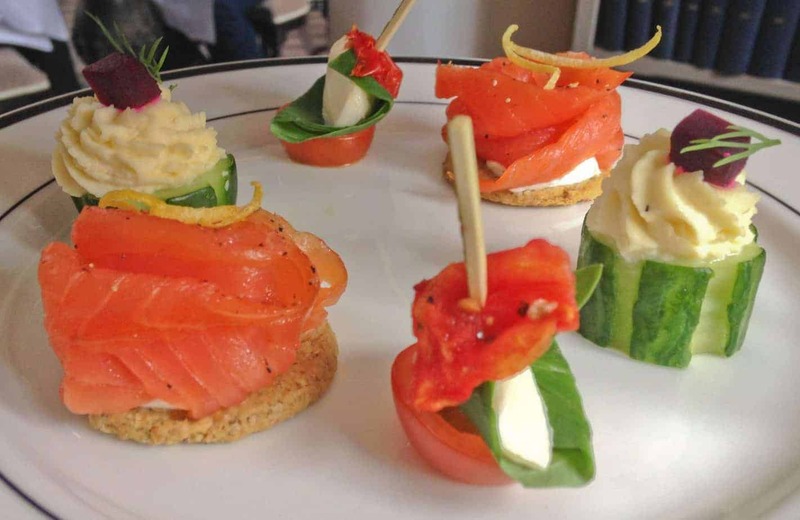 Afternoon Tea is a treat that we all know and love, and Edinburgh has almost too many venues to choose from. Fear not little lovebirds, I can narrow this right down for you. Go to Colonnades at the Signet Library, forget the rest! Hot & cold savoury delights are served alongside decadent sweet treats on bespoke silverware in a stunning historic library. The array of ingredients, and delicate handmade pastries, put ‘bog standard’ afternoon tea menus to shame. Look out for themed menus throughout the year, including the fabulous Festive Afternoon Tea. While Edinburgh is the perfect host for some romance, it is also an ideal base for a wee rail adventure. A mere thirty-minute journey will deliver you to a pretty town by the water, away from the bustle of the city. South Queensferry looks over the Firth to the Kingdom of Fife, and sits underneath the ever-impressive and iconic Forth Rail Bridge. Enjoy a seafood lunch in the Boathouse and pop into the Little Parlour for a tasty ice-cream. Take the train in the opposite direction to visit North Berwick, a charming seaside town with plenty to keep you entertained. 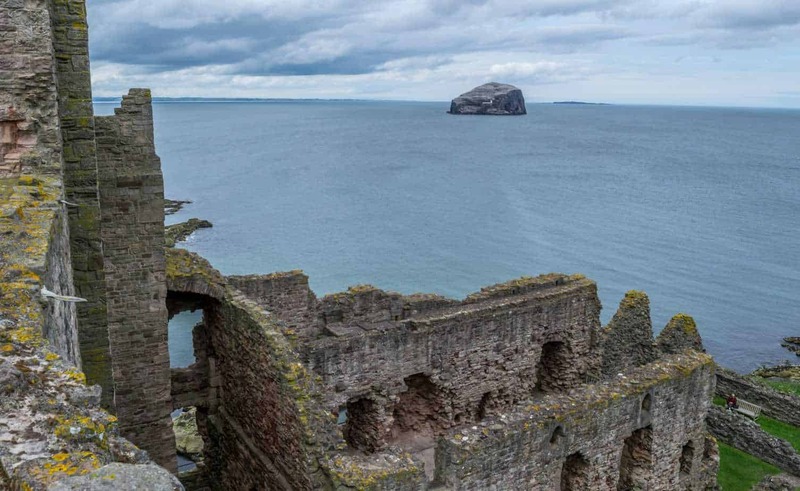 Browse the independent shops, take the bus up to Tantallon Castle, and tuck into lobster and chips on the beach from the Lobster Shack. For the culture vultures amongst you, or those who wish to escape an impending rain shower, check out some of Edinburgh’s many galleries and museums. 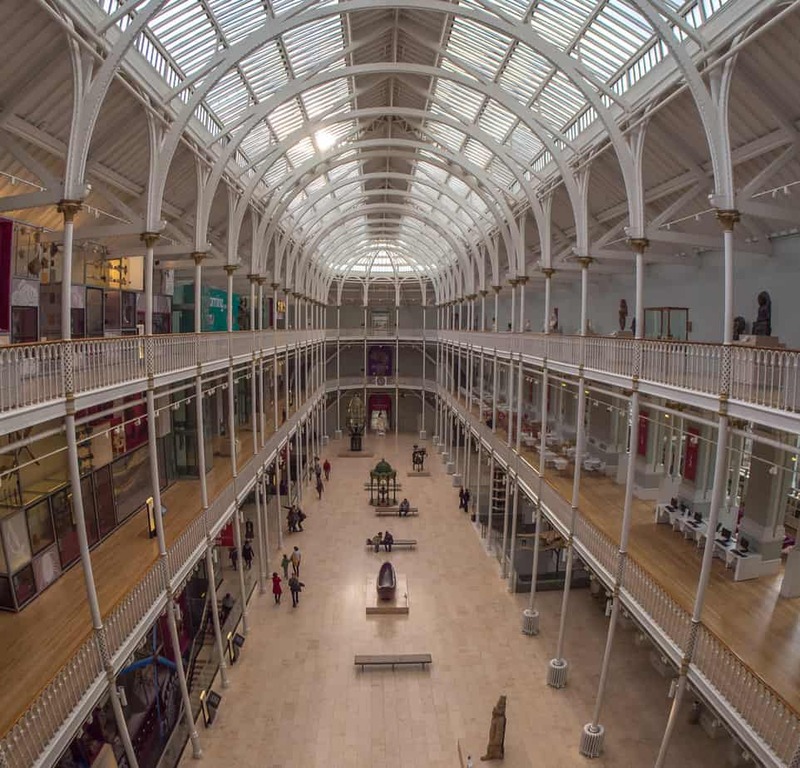 The National Museum of Scotland provides hours of free entertainment, taking you around the world, through the ages, and into Space. Walk hand-in-hand through the National Portrait Gallery, admiring the murals in the beautiful entrance hall, and the many exhibitions and artworks. For something a bit different, check out the Scottish Gallery of Modern Art, or Stills Gallery for photography and contemporary art. All the above museums and galleries are FREE. Yippee! Camera Obscura & World of Illusions is Edinburgh’s most fun visitor attraction, and it’s not just the kids who will be kept entertained. Explore the interactive illusions on each floor, and try to stifle the eruption of laughter when your beloved attempts to walk in a straight line through the vortex tunnel. Make your way to the top for picture-perfect views of the castle esplanade from the roof, and for the star attraction itself, the Camera Obscura. Seal the deal and get hitched at the end of your visit, with the ‘Autowed’ machine. PS: Heading to the castle? Get your ticket here in advance and skip the line! Treasure hunts are always fun, particularly when you’re rewarded with a pub-shaped prize. There are several hidden pubs nestled in the nooks of the Old Town, and full of character. Enjoy a dram by the log fire in the Jolly Judge, and go for a double-whammy with the Halfway House and The Jinglin’ Geordie within a few steps of one another. Once you’ve found the aptly named Secret Arcade, your next challenge is to choose your favourite flavour of Polish vodka from the extensive menu. Need more Edinburgh date ideas? 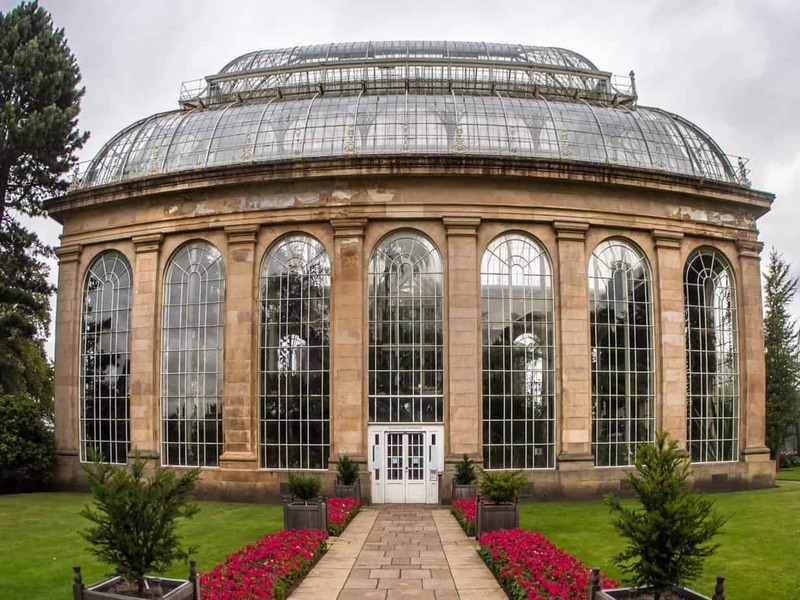 The Royal Botanic Garden has been pleasing visitors since the turn of the 19th century, and is frequented year-round by locals and visitors alike. It is a paradise of plant-life, with an enchanting rock garden, Chinese Pavilion and the signature Tropical Palm House. 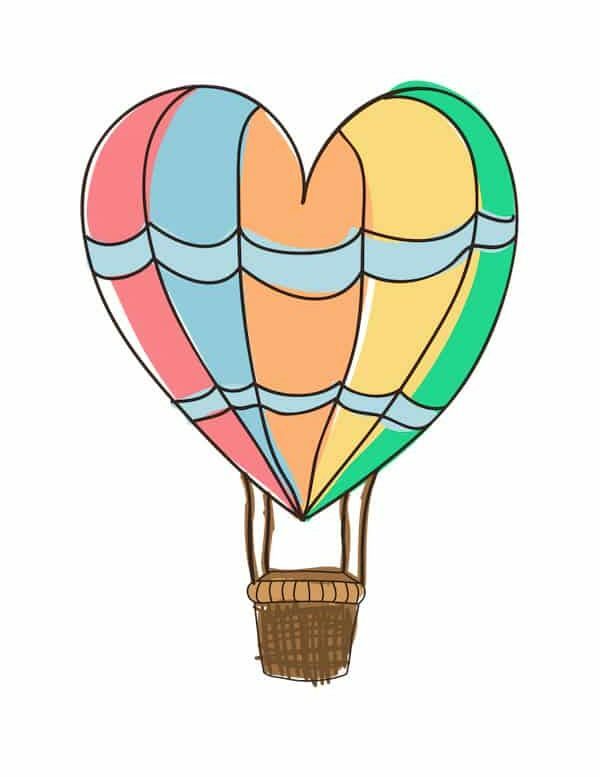 Plan your visit for a Sunday, so that you can pick up a picnic on route from Stockbridge Market. Pick up fresh bread, olives, tapenades, cheeses and cakes. I also highly recommend the Stornoway black pudding and chorizo scotch eggs. Yum! Admission to the Royal Botanic Garden is free. Admission to the glasshouse is £6.50pp. Couples who laugh together, stay together, and if comedy is your bag, the Edinburgh Fringe Festival in August is a must. From famous names to rising stars, comedians in their masses perform at venues across the city. Book in advance for the big names, take advantage of the 2 for 1 ticket days, and check out some free Fringe shows in-between. For comedy all year round, visit the Stand Comedy Club where local and international comedians take to the stage every day of the week. Ticket prices for The Stand vary, see the website for more details. What would be your perfect romantic date in Edinburgh? Author Bio: The Chaotic Scot is a fun and inspiring Scottish Travel Blog, created by Kay, an enthusiastic storyteller, island-hopper & foodie. Sign up for The Chaotic Scot newsletter to follow her adventures around Scotland. Can’t wait to make it to Scotland one day soon!